Did you call the phone to find it? No! I don't think we would have even noticed it was missing until after we had left -- it was a seriously lucky save. Kayla asked about the Austenland movie. So did I, in the signing line. She said it is DONE. Done! She has seen it! (And that it is quirky. She loved it, but it's not super mainstream, being directed by Jerusha Hess and all. To which I say, of course! I was expecting that.) She has no idea, zero, nada, zilch about distribution. She said it's much more expensive to distribute a movie than it is to make it (to which I said, "same as a book, then") and it may go to festivals or something but she really has no idea. So, Kayla, I think you and me need to find out the hidden location of the footage, and then go there, with popcorn and muddy buddies and such and just refuse to leave until they let us see it. Unless you have ninja skillz, in which case we could steal it, watch it, and return it without anyone being worse off! I mean c'mon, I'd still totally pay to see it in a theater. 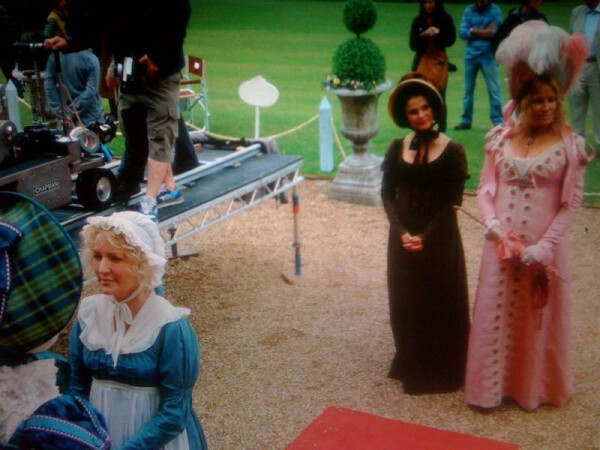 Jennifer Coolidge, R, plays Miss Charming. She tweeted this picture. I found it on Connie Onnie's blog. Alex asked: I own Princess Academy but haven't read it yet. So my question is this: How eager should I be to read the first one in order to read the second? To which I said: If I were you I would NOT read the second until I had read the first. Unlike her Bayern series, with this one the story is a direct sequel and there would be major spoilers that, if you were me, you would regret being spoiled about. The newest cover of the newest edition of Princess Academy. Notice that it is not "The" Princess Academy. Stacey asked if she could win, and thus read her first Shannon Hale book. The answer to that is that she could have won, but sadly didn't. I'm so sad I didn't have a dozen copies -- one for each of you! Alas. 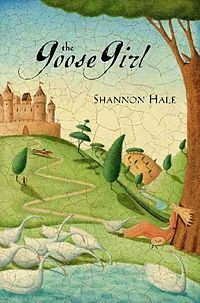 If I were going to read a Shannon Hale book for the first ever time, I would read The Goose Girl. That is the one I read first, and I was pretty much hooked for life. 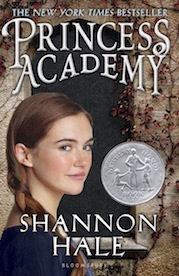 If you can't find that one at your library, I'm sure they'll have Princess Academy, because it got a Newbery Honor. 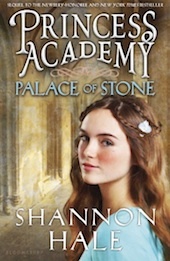 Her first book is the first Shannon Hale book you should read! 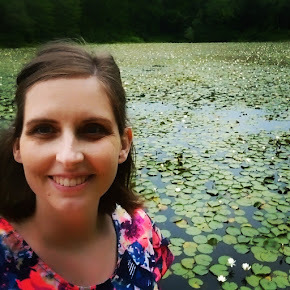 Anna would ask Shannon "who her favorite author is and/or who she is inspired by" -- just so happens that I've heard her answer this question lots of times, and noticed that without fail she always mentions Robin McKinley. This time around, she also mentioned Lloyd Alexander. 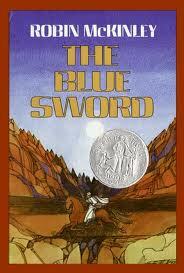 This is a book by Robin McKinley. More books that Shannon Hale recommends, here! Ok that's it for me tonight. Longest winner announcement ever! I have more KidLitCon recap stuff for you though. Coming soon. I liked the second book more than the first, which is unusual. There was more action and intrigue in the second. Have you met Itsy Mitsy?